This is my review of Yassin al Haj Saleh’s book The Impossible Revolution: Making Sense of the Syrian Tragedy. It first appeared in The New Arab. Since the beginning of the Syrian revolution over six years ago, there has been a determined effort to smother it both literally and figuratively. There is the ceaseless attrition of bullets, bombs, torture, starvation and poison gas; there is the relentless subversion of truth through erasure, distortion, slant and fabrication. But in defiance of the terror, through myriad betrayals, regardless of the slander, and in the face of global indifference, the revolution survives. Every time the violence ebbs, the revolutionary flag returns to the street borne by crowds chanting the same slogans that reverberated through earlier, more hopeful days. Even in the absence of peace, besieged neighbourhoods have elected local councils, provided social services, educated children, treated the wounded and fed the needy. Under impossible circumstances, the people who stood up against one of history’s most murderous regimes persist. You would know none of this if your only window into the Syrian conflict is the western media or, worse, its Kremlin counterpart. Syria, for all one can tell from their coverage, is about ISIS atrocities, Al Qaeda gains, Coalition bombings, regime advances, Russian resurgence and CIA manoeuvres. It is a geopolitical chessboard in which Syrians are mere pawns, denied agency, except in violence; denied humanity, except in victimhood. When earlier this week the UN war crimes prosecutor Carla del Ponte resigned over the Security Council’s inaction, she saw fit to add: “everyone in Syria is bad now”. She said this at a time the news of the execution of media activist Bassel Khartabil was becoming public, Idlib University was holding free elections, Saraqib and Eastern Ghouta were electing local councils and volunteers from the Syrian Civil Defence were risking lives to rescue victims of the regime’s relentless bombings. For del Ponte and her ilk, these people might as well not exist. Such is the moral haze in which the debate on Syria has unfolded. 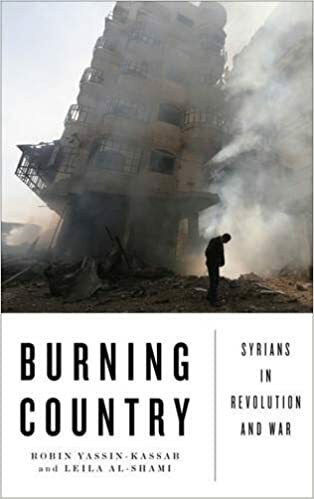 And it is this fog that Yassin al Haj Saleh has chosen to dispel in the ten essays that make up The Impossible Revolution: Making Sense of the Syrian Tragedy. In its lucidity, erudition, range and percipience, the book is worthy of a Gramsci. In its method, rigour and predictions, it is an intellectual achievement of extraordinary significance. The book honours the revolution by describing with precision its causes and aspirations and recording with complexity its challenges and achievements. It is the living chronicle of a revolution, a sustained diagnosis, a prophecy and a j’accuse. Yassin al Haj Saleh, one of Syria’s most celebrated intellectuals, wrote these essays over a period of five years, from underground in Damascus, Douma and Raqqa, and from exile in Istanbul. Saleh’s compelling biography and his colossal sacrifices lend his writings unusual moral authority. While still in college, Saleh was arrested by the regime and spent 16 years in its notorious prisons; and, since the start of the revolution, his wife and brother have both been disappeared by jihadis (the latter by ISIS). Yet, in spite of the personal tragedy, Saleh’s writes with remarkable dispassion and objectivity. The essays in this book tackle questions that most confound audiences in the west. The discussions range from the causes of the revolution, the regime’s violent repression, the revolution’s turn to arms, the rise of the Islamists, the threat of militant nihilism to the question of sectarianism. They are rooted in history but they aren’t the usual apologetic narratives of colonial depredation and native passivity. 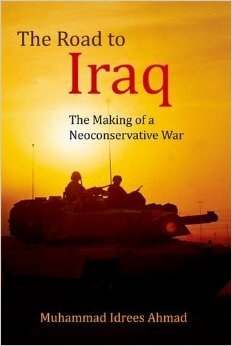 Saleh’s interest is in post-colonial Syria, in its initial promise, halting progress, and eventual betrayal under Baathist rule. The Baath Party however was merely a cover for what Saleh calls Hafez al Assad’s “neo-sultanic” rule under which the social functions of the state declined, the population became dependent on a new elite through networks of patronage from below while the security state maintained order through surveillance and terror from agove. 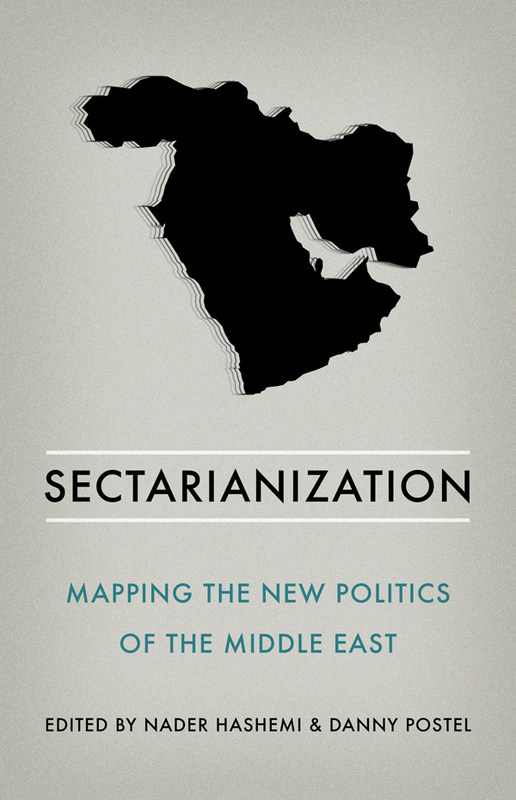 The regime used the logic of sectarianism to keep the population split vertically, so that people at the bottom could only access state resources and services through intermediaries from their own sect. Sectarianism in the regime’s hand became a political means of control. It had nothing to do with doctrinal differences; its guiding principle was power. In this system kinship become a key principle, money guaranteed access, and together they created the supreme value: power. People at the top of the pyramid were free to expropriate state resources and a legal system was instituted to protect the gains. The state functioned on two levels: a ‘non-sectarian yet powerless visible state’ and an invisible ‘private and sectarian’ one. It is the latter that enjoyed “sovereignty over people’s fates, internal domestic affairs, public resources, and regional international relations”. Under Bashar al Assad the state also replaced its “obsolete, inhumane political apparatus with a glamorous material façade”. A regressive and exploitative system was given cover by a purely culturalist notion of modernity with the left-behind blamed for their own immiseration because of their attachment to “tradition”. Tellingly, when revolution came, virtually all the defections happened in the visible state while the invisible, sectarian state remained cohesive and resilient. By July 2011, three months into the uprising, Human Rights Watch had recorded 887 unarmed protesters killed by regime snipers. The Free Syria Army was formed shortly after that. It was partly through the protection of rebel arms that street protests continued to grow (reaching their peak during the summer of 2012). Citizen journalists provided additional protection by filming violations and beaming them out to the world. But if Saleh recognizes the legitimacy of armed resistance, he is withering in his condemnation of what he calls “militant nihilism” (a term he prefers to “terrorism” which has been diluted of meaning through misuse by repressive states). It is neither morally defensible nor practically justifiable because it “necessarily hurts the innocent, owing to its arbitrariness”. Even when motivated by real injustice “the ‘goal’ of terrorism collapses into the very act of rebellion against this condition and into the elimination of enemies without ever achieving anything greater, such as…national independence, or ending poverty, or even punishing criminals among the rulers and their collaborators”. Saleh was predicting the rise of such nihilism already in May 2012. Without support for the revolutionary forces, he warned, the nihilists will strengthen. “Were a nihilist organisation to somehow come to power”, Saleh writes in a prophetic passage, “the result could only be brutal despotism. Not only are nihilist organisations accustomed to indiscriminate violence: their radical withdrawal from the world encourages the cultural and psychological conditions necessary for prohibiting dissent and uprooting any alternative”. In a section on media activists, Saleh describes them as creating an “objective memory of the uprising”. In these ten essays, he has achieved something similar. For all its resilience, the revolution in Syria appears headed toward a grim denouement. But in the face cynical efforts by counter-revolutionary ideologues to rewrite history, Saleh’s work will stand as an imperishable reminder of the circumstances through which this impossible revolution endured.